If the Roman/Astrological Equivalent of the Leviathan is the Hydra, What is the Roman/Astrological Counterpart of the Behemoth? In Revelation 13 I explain how the many-headed sea monster called the Hydra is the Roman mythological equivalent of the Hebrew conception of the seven-headed sea monster called the leviathan. Thus if the Roman Hydra is the Hebrew leviathan what is the Roman mythological or astrological equivalent of the two-horned behemoth? The behemoth is described in detail in Job 40:15-24. In these verses, the behemoth is said to get its food from the mountains (Job 40:20), eat grass like an ox (Job 40:15), lie down under the shade of the lotus plants in the cover of the reeds in the marsh (Job 40:21), be surrounded by the willow trees of the brook (Job 40:22), and drink from the Jordan River (Job 40:23). The two-horned animal that lays down under the shade of the reeds by the river, gets its food from the mountains, eats grass like an ox and drinks up the water of the Jordan River is, I believe, the ram. In other words, the Roman astrological equivalent of the behemoth appears to be Aries, the two-horned ram that lies beside the constellation Eridanus, the river. As stated in the commentary on Revelation 13, the beast out of the earth, the behemoth, represents the Roman Army in Israel. “In Roman astrology . 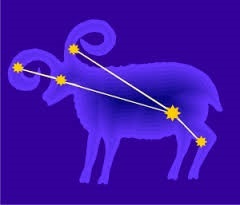 . . Aries is the symbol of Israel.”[i] The fact that Aries signifies Israel is also hinted by the fact that Aries is a ram. Rams are ceremonially clean animals. Ceremonially clean animals represent Israel and unclean animals represent foreign nations and their people. This fact is implied in Acts 10. In this chapter Peter sees a vision of unclean animals on a carpet and he is told to eat them. In Acts 10:34-35 Peter realizes the meaning of this vision: “I most certainly understand now that God is not one to show partiality, but in every nation the man who fears Him and does what is right is welcome to Him.” In Acts 10:34-35 Peter realizes that the unclean animals that he was told to eat in his vision in Acts 10:9-17 represent foreign nations and their people. Thus if unclean animals represent foreign nations and their people, then clean animals like rams therefore must represent the nation of Israel. Alan Oken notes that the Jews fled from Egypt and received the Law during the age of Aries. During this age the Jews received divine favor from God. This continued until the Christian age of Pisces, the fish. 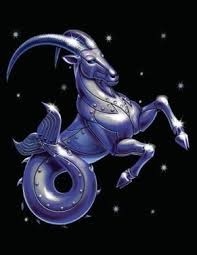 [ii] This change in divine favor between the Jews and Christians during the transition between the age of Aries and the age of Pisces is seemingly depicted by the constellation Capricorn, the two-horned clean animal with the fish tail. But how could Aries the ram be the behemoth when according to Job 40:17 the behemoth is said to bend its tail like a cedar: “He bends his tail like a cedar.” This cryptic verse seems to point to the transformation from Aries to Capricorn. This is why the behemoth is depicted in the marsh land at the river’s edge–half way between the dry land and the water–in Job 40:15-23. The transformation or metamorphosis of the behemoth is implied in Revelation 13:13 and Revelation 9:17-18. As explained in the commentary on Revelation 13 these verses imply that the behemoth had taken on attributes unique to the sea monster called the leviathan. As is also explained in the commentary on Revelation 13, this half-behemoth and half-leviathan monster called the beast out of the earth in Revelation 13:11 represents the Flavians who were once the two horns of the behemoth but later also became two heads of the leviathan when crowned Caesar in the middle of the Jewish War. This half behemoth and half leviathan transitional form looks to be the two-horned constellation Capricorn. Half goat and half fish, Capricorn is a goat with a long fish tail who also as stated above seems to represent the transition from the age of Aries to the age of Pisces, the fish. Furthermore, like the behemoth, Capricorn’s long fish tail is seemingly always depicted bent. Here one can see how the behemoth “bends his tail like a cedar.” Situated together with the Hydra in the part of the sky astrologically called the sea, Capricorn seems to signify this half behemoth and half leviathan monster representing the Flavians. The dragon Cetus and the river Eridanus. Notice the fact that the river Eridanus looks as if it is coming out of dragon Cetus’ mouth as is the case with the dragon that pours a river out of its mouth in Revelation 12:15. Also situated in the part of the sky astrologically named the sea where Capricorn and Hydra also lie is the sea dragon Cetus. 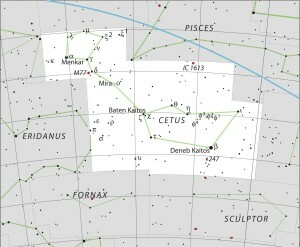 Cetus is situated near Aries. Cetus is depicted in the sky beside Eridanus, the river, as though it is pouring a river out of its mouth as the dragon is said to do in Revelation 12:15. As explained in the commentary on Revelation 12:15-16 both Cetus and the Hydra are Greek substitutes for Tiamut, the mythical Babylonian sea monster thought to cast a great river out of his mouth. [iii] It is perhaps not a coincidence that the myth of Cetus, Perseus and Andromeda was believed by the Greeks to have taken place in what was then called Philistia, which at the time of the Jewish War was coastal Israel. In fact, Josephus alludes to this myth during the Roman assault on Israel’s coastal city of Joppa. [iv] Refer to the commentary on Revelation 12:15-16 for a detail explanation of the fulfillment of this river symbolism during the Jewish War. Because of the common link between the Roman dragons Cetus and Hydra with the Babylonian dragon Tiamut—which is arguably the Babylonian equivalent of the leviathan–both Cetus and Hydra are the Roman equivalents of the leviathan. Notice the similarities in shape and appearance between Aries and Capricorn. Then notice the similarities between Capricorn with its two legs and bent fish tail and Cetus with its two legs and bent fish tail. 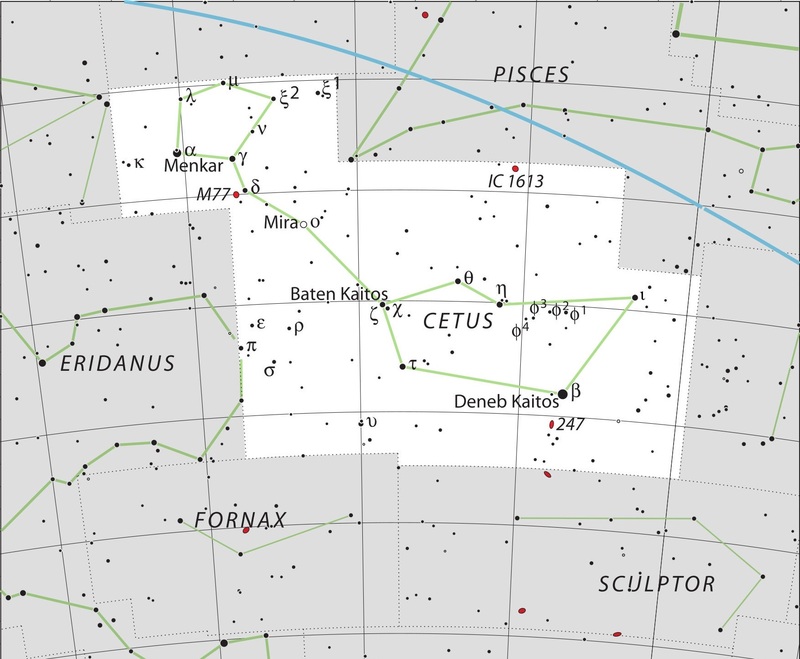 The transformation from Aries to Capricorn and then from Capricorn to Cetus appears to be an astrological representation of the metamorphosis of the behemoth to the leviathan implied in Revelation 12:15-16 and Revelation 9:17-18. [ii] Alan Oken, Alan Oken’s Complete Astrology: The Classic Guide to Modern Astrology (Lake Worth, FL: Nicolas Hays, Inc., 2006), 522. [iii] Jacques M. Chevalier, A Postmodern Revelation: Signs of Astrology and the Apocalypse (Toronto: University of Toronto Press, 1997), 343-344. The Greek myth of Cetus and Andromeda, the story behind the cluster of constellations alluded to in Revelation 12:15-16, is a perfect allegory of the Jewish War with Rome. See An Allegory of the Jewish War in a Surprising Place. [iv] Josephus The Wars of the Jews 3.9.3.